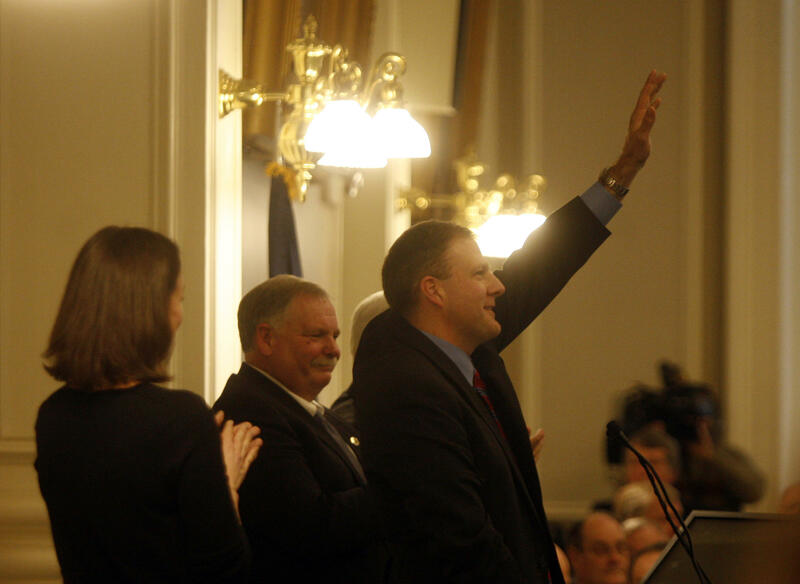 Governor Chris Sununu delivers his budget proposal to lawmakers this week. It’s the first step in a months-long journey to build a two-year spending plan that will affect nearly every aspect of life in New Hampshire. To help you prepare for the months of headlines to come, NHPR reporters are highlighting areas of the budget that are likely to generate the most discussion. Listen to the first half of this story. And here's the second half of the on-air story. In his inaugural address last month, Sununu laid out his priorities for the next two years – the first item on his list was the state's opioid crisis. Advocates for substance abuse treatment hope that mention translates into more state dollars in this year’s final budget bill. On the table will be funding for drug prevention programs in the classroom, investments in treatment for inmates and fully funding the state’s alcohol treatment fund. This fund was designed to take a share of the state’s annual liquor sales, to be put towards substance abuse treatment. But Executive Director Linda Paquette of the drug advocacy group - New Futures – says since it was created in 2000, the funding has consistently fallen short. Another major issue that likely won’t be addressed in the budget, but is crucial for those trying to access treatment, is making Medicaid Expansion permanent. So far more than 10,000 people in New Hampshire have accessed drug treatment through this program. It’s certainly easier to craft a state budget when the economy is performing well. Greg Bird is with the New Hampshire Center for Public Policy Studies. He says Chris Sununu is coming in at just the right time. New Hampshire’s GDP is up, wages are starting to climb. And all that’s resulting in a state bank account that’s in the black. Conservatives say one of the reasons for that is because of what happened during the last budget: Republicans pushed through business tax breaks despite the concerns of then-Governor Hassan. Sununu supported those cuts, and has indicated he’ll include further reductions in this budget. That’s an idea backed by David Juvet with the Business and Industry Association. Even if the state is growing its tax base, that won’t necessarily translate into an easier fight as both Republicans and Democrats make a case for their priorities. But for budget watchers like Juvet, this spending plan is at least starting on mostly sound financial footing. A handful of perennial school funding issues are likely to be back in this year’s budget discussions. At the moment, the state funds kindergarten at half the per-pupil rate as other school grades. Democrats like Senator Dan Feltes have tried for years to change that. This year, supporters of full day kindergarten may have an ally in Governor Sununu, who voiced support for the idea during the campaign. 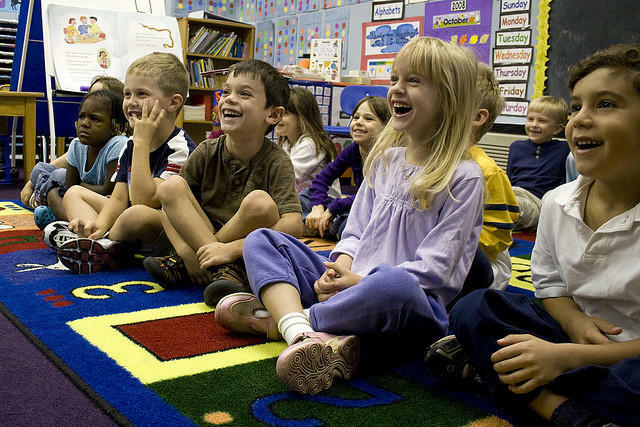 Fully funding kindergarten would cost the state about 15 million dollars per year. Another big state school funding issue centers around something called stabilization grants. Those state grants were put into law in 2011 to protect poorer school districts from changes made to the school funding formula. A few years ago lawmakers started phasing out those grants by four percent a year. And many from communities affected by that phase-out aren’t happy about it. Speaking to NHPR in December, Berlin Mayor Paul Grenier said the issue could lead to legal action against the state. Freezing the stabilization grants would add about 12 million dollars to next fiscal year’s budget. Another thorny education issue that budget writers will likely address is whether and how the state pays for school construction projects. For decades, local school districts could apply for state grants to help pay for such costly projects. But in the midst of the recession, lawmakers put a moratorium on the program. In the meantime, plans for school building additions, renovations, and construction projects have piled up, as districts eagerly awaited a return of the state funds. Without a major new source of revenue, it’s unlikely that any budget proposal will satisfy all of these priorities. So, look for another year of education funding battles in the statehouse and maybe in court, too. Within the Health Department, the Division of Children, Youth and Families takes up a small amount of funding. But this budget cycle DCYF is getting a lot of attention. Adam Steel of Amherst is a foster parent. Over the last five years, DCYF has sent him kids who have no place else to go. A recent outside review concluded the state was not doing enough to protect kids who are abused and neglected. Much of the shortfall had to do with money: Not enough staff at DCYF, led to overburdened case workers, and insufficient training. In the years after the recession, the legislature made deep cuts to child protective services. Funding has risen since then, but not to earlier levels. Demetrios Tsaros is a DCYF caseworker, although he does not speak on behalf of the agency. Tsaros says more money will mean more staff – but even that’s not a quick fix. 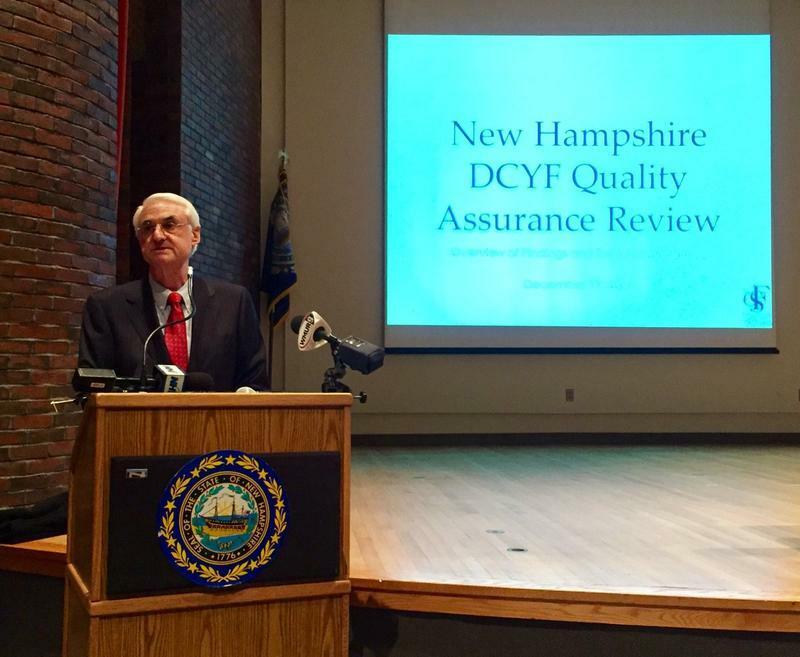 Hiring and retaining staff will be DCYF’s job – if it gets the increased funding from state budget writers. Those budget writers also have their eyes on a projected $66 million hole at the Health Department. That mostly stems from off-target predictions two years ago about demand for Medicaid. This year, lawmakers are hoping to get that number right. One of the least controversial topics during the gubernatorial race between Sununu and Democrat Colin Van Ostern was the state’s infrastructure needs. Both candidates campaigned on larger investments in roads and in tackling the so called red-list bridges: 150 structures identified as in severe disrepair. But to be clear, this isn’t an area that previous administrations have completely ignored. “Well, the big picture is right now, we are keeping up with the needs,” says Regina Birdsell. She chairs the State Senate’s Transportation Committee, and says New Hampshire has a history of making prudent moves, such as the widening of interstate 93 and building a new exit in Londonderry. 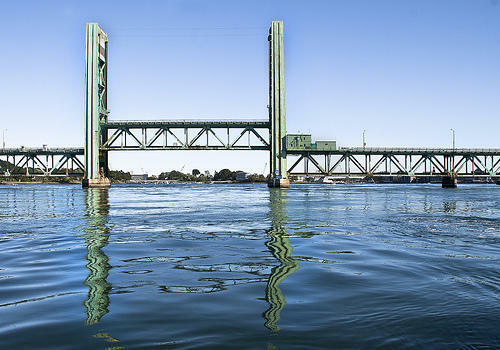 The Department of Transportation says an additional $47-million annually would help it stay on top of bridge and road repairs. But the gas tax, which raises money for infrastructure projects, was raised by 4-cents in 2014, and it likely be touched in the Sununu Budget. Neither will commuter rail, which the Governor staunchly opposes. Still, advocates like Nashua State Senator Betty Lasky will push for more study of rail during budget negotiations. “I think that we are clearly going to be left behind if we don’t move on and provide some public transportation for our citizens,” says Lasky. She says rail is a smart way to attract younger residents to the state. Sununu calls it a $300-million boondoggle. There are 2700 prison inmates and parolees in New Hampshire. To oversee these people, State taxpayers are paying $112 million dollars this year. 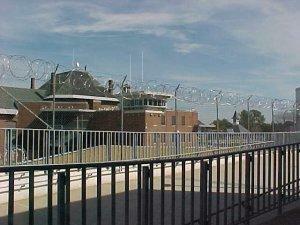 Next year, the Department of Corrections is asking for another $10 million. Mostly for staffing. Every year, Dept. of Corrections Commissioner Bill Wrenn tells budget writers the same thing: he just can’t attract and retain enough correctional officers. Over the past 10 years, the number of inmates has grown by 8 percent, while the number of guards has shrunk by 25 percent. This means skeleton crews are being forced to work double, even triple shifts. Last year, the DOC spent an unprecedented $9 million on overtime. Now, Wrenn recently told the House Finance Committee, he wants to hire a full-time recruiting specialist and bump up his salary and benefits line item by nearly $10 million. If enough new hires are made, he says overtime costs would drop. “If we are successful in our efforts, we’ll see our salary back where it should be and our overtime coming back down,” says Wrenn. Along with staffing, Corrections is also looking at costs associated with the opiate epidemic. The department hopes the next state budget will let them hire six new parole officers to help with the newly statewide drug courts. And there are efforts to stop contraband. Wrenn says he wants more dogs, and new body scanners to stop the rampant smuggling.